and I love Bluegrass & Country Music. Playing or Listening to it. I have been blind since birth and have perfect pitch so music is my thing. 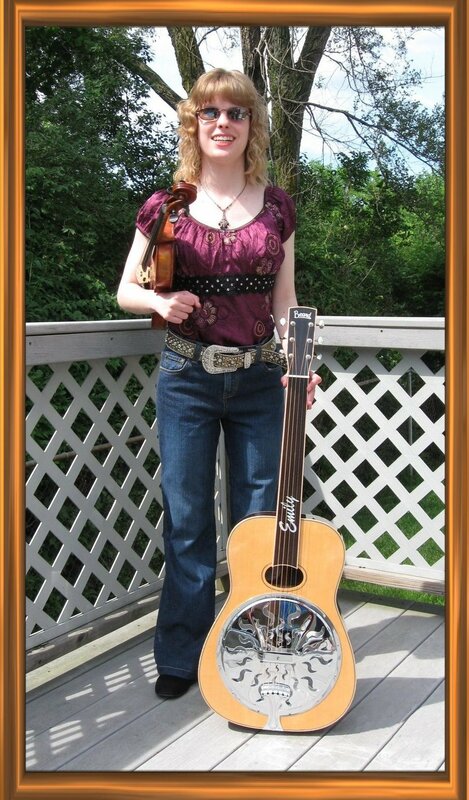 I've been playing the Fiddle for 19 years and the Dobro for 16 years. Me and my friend Wayne Luessen & Family play music all over the Cincinnati Area. We would love to play for you ! So give us a call to book a show. I also play at local Bluegrass Jams all around town.